The real name of “Lal Shahbaz Qalandar” was Syed Muhammad Usman who was born in 1177 AD in Marwand, Iran. His father, Syed Ibrahim Kabiruddin, was a virtuous and pious dervish, and his mother was a high-ranking princess. His ancestors migrated from Iraq and settled down in Meshed, from where they again migrated to Marwand. During the Medieval period, Meshed and other cities of that region were renowned centers of learning and civilization. Miracles : As it has been stated in the biography section, Lal Saeen(RA) was originally from Marwand Shareef; that is now in part of Afghanistan, near the border of Iran. However, we couldn’t find ample material in the course of Lal Saeen’s spiritual journey to Sehwan Sharif. However, we can identify from history (-) that he visited several places in Indian subcontinent, parts of Iran, Iraq and Hijaz (Makkah and Medina). Many historians believe that he paid a holy visit at the Shrine of Hazrat Imam Ali Reza (AS) the son of Hazrat Imam Musa-e-Kazim (AS). He performed pilgrimage in Makkah and visited Medina Munawwara: the holy shrine of Holy Prophet’s (Peace and Blessings be Upon him). During this course he visited Karbala Mualla: Hazrat Imam Hussain (AS)’s holy shrine and came to Baghdad Shareef (current capital of Iraq); and met Hazrat Ibrahim(R.A) by whom he took Baiat (Reference). In other words Hazrat Ibrahim R.A)became his Shaikh. By his spiritual guidance Lal Saeen came to Sindh, spread the message of love, equality and truth; and met several saints of that time. One thing we forgot to mention is his companion from Baghdad was Hazrat Ali Sarmast (RA), a holy saint whose shrine is in Sehwan Sharif besides the shrine of Hazrat Lal Saeen (R.A). He accompanied him during the holy journey and in every step served him with devotion. From Baghdad, he travelled to Makran and stayed sometime in Panj-Kor (area near/in Makran). Because of Lal Saeen’s blessings and holy stay, he becamse renowned and people started knowing his presence, many became Mureeds. That place is still renowned of his stay, even the name of the town is known as “Dasht-e-Shahbaz”. During his time in Panj-Kor, many people became enlightened and embraced Islam by his teachings, and life style. Every year in the eve of annual death anniversary (Urs Mubarak), caravan of people from Makran visits Sehwan Shareef and pay respect with deep devotion, and great zeal perform holy Dhamal (Sufi Dance). After coming to Sindh Hazrat Lal Saeen’s first destination was Multan, where he met Hazrat Bahauddin Zakaria Multani (RA) and stayed sometime there. Hazrat Bahauddin Zakaria (RA) was one of three friends of Hazrat Lal Shahbaz Qalandar (RA). With respect to his visit at the Shrine of Hazrat Sadruddin Badshah (RA): I must quote very important event that he was on way to Sehwan in Sukkur, travelling by means of his miracle of flying in air (Parwaaz), and came across the shrine of Hazrat Sadaruddin Badshah (RA). 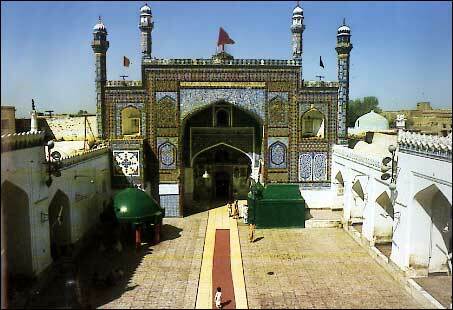 Hazrat Sadaruddin (RA)’s is holy saint and his shrine is situated between Sukkur and Rohri in Sindh. 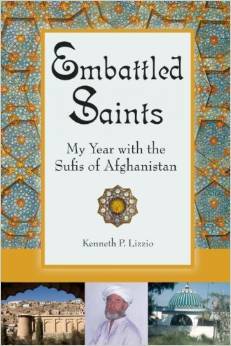 Hazrat Lal Saeen (RA) was spiritually ordered from Allah (SWT) to stay sometime at his Shrine. Some people believe that he was about to fly over the holy shrine, and because of the high spiritual level of the Hazrat Sadruddin (RA) Allah (SWT) ordered Lal Saeen (RA) to meditate there. He stayed there for 40 days there and then by the will of Allah (SWT) continued his holy journey to Sehwan. The place where Lal Saeen(RA) meditated (Chilla Gah) is still preserved as a holy place; people use to visit there, and use to make Dua. Ke Sag e Koo e Sher e Yazdanam! After Uch Hazrat Lal Shahbaz Qalandar left for Multan, where according to some sayings were believer of a religion called Karamatia. He enlightened these people with the light of Islam, and taught these people about Prophet Muhammad (P.B.U.H.) and Ahl-ul-Bayt-e-Muhammad (A.S.) (Prophet’s Family). King/Raja of Multan was also very impressed by Hazrat Lal Shahbaz Qalandar’s preaching and he also converted. After preaching into different cities in subcontinent Hazrat Lal Shahbaz Qalandar arrived in Ajmair Sharif (India) from there he went on to Kashmir, Pothohar ( Rawalpindi), Peshawar , Dera Ismail khan , Mianwali , Jhang , Dera Ghazi khan , Sibbi , Jacobabad and from there to Dadu. After Dadu, Hazrat Lal Shahbaz Qalandar arrived in Sehwan. Where ever he went he preached teachings of Prophet Muhammad (P.B.U.H.) and Ahl-ul-Bayt-e-Muhammad (A.S.) (Prophet’s Family). He taught people about how to mourn for the King of Martyrs Imam-e-Hussain (A.S.) and how Hazrat Imam-e-Hussain (A.S.) was martyred. Most of his preaching is about this tragic loss of Prophet’s Grandson and Imam Ali (A.S.)’s Son. He also taught people about how so called Muslims of the time turned against the actual Islamic authority Imam-e-Hussain (A.S.). He taught people to love Prophet Muhammad (P.B.U.H.) and Ahl-ul-Bayt-e-Muhammad (A.S.) (Prophet’s Family). When he first arrived he stayed out of the city according to some sayings it is call Lal Bagh (Red Garden) which is towards south-eastern side. Inside the city of Sehwan, Hazrat Lal Shahbaz Qalandar had two disciples, Boodla Bahaar and Sachal Sarmast. It is said that Boodla Bahaar had a very long beard with which he used to clean up the place of Hazrat Lal Shahbaz Qalandar. At the time of Hazrat Lal Shahbaz Qalandar’s arrival at Sehwan, Sehwan was centre of evilness. Boodla Bahaar and Sachal Sarmast were appointed by Hazrat Lal Shahbaz Qalandar to preach inside the city and their duty was to go stand and every nook and corner and say “Ali Haq” (Imam-Ali (A.S.) ibn-e-Abi-Talib (A.S.) is the ultimate Truth). 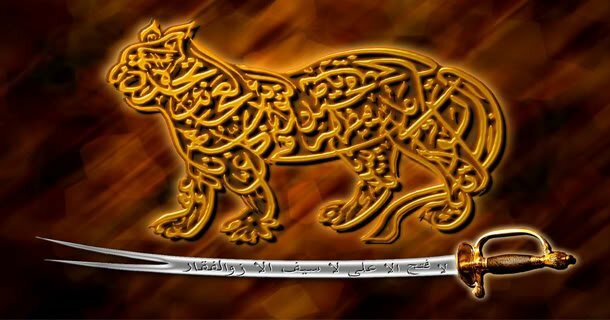 One day king of the fort ordered his soldiers to bring him the man (Boodla Bahaar) who says “Ali Haq”. Once Boodla Bahaar was arrested he was presented to the king, he asked Boodla Bahaar stop saying “Ali Haq” Boodla Bahaar answered “Ali Haq” and I will not stop. King got angry and asked his soldiers to kill Boodla Bahaar and make mince of his meat and then distribute it and throw it away (according to some sayings the soldiers ate the meat). d after third time Qalandar said that these people of fort and their king will not listen and keep destroying lives and freedom of innocents, Hence after the third time he gave his “Mutahir” (A strong baseball bat type stick) to Boodla Bahaar and told him to turn it upside down while looking at the Fort and as Boodla Bahaar turned it all the fort was turned upside down (this is clear from the fort remains). Later on someone asked Hazrat Lal Shahbaz Qalandar why didn’t he do it himself, Hazrat Lal Shahbaz Qalandar replied I was holding on to the earth as if I haven’t stopped it the whole earth would have gone upside down. One day a man was wandering in the desert and he saw another man (Hazrat Lal Shahbaz Qalandar) praying in the desert and two sticks a short distance apart sticking into ground in front of Hazrat Lal Shahbaz Qalandar. That man was dreamt about becoming a king one day and he was in these thoughts while he passed in between the two sticks buried halfway into the ground in front of Hazrat Lal Shahbaz Qalandar. As soon as he passed he saw a big door from which he had entered into a city, where a big crowd was gathered. He was surprised and went on to see what was happening. Someone told him that their king died without leaving any successor and hence “Huma” (A bird, which was set to fly and on whose ever head it landed was made the King. That’s why sometimes a king was referred, in old times as, Zil-e-Huma which meant “Huma’s Shadow”) was being flown to choose a king. Huma made its flight and sat on this person’s head and he was made a King. As the Qalandar means “Free/Free of Boundaries” it is a common known fact that Qalandar could let himself free from the power of gravitational pull and hence used to fly and that’s another reason he was called Shahbaz “Falcon”. Qalandar in his life taught people about the true Islam. Mourning on Prophet’s Family and taught people on how to mourn. His major lessons were not to leave Prophet Mohammad (P.B.U.H. ), Imam Ali (A.S.) and Prophet’s Family as, as soon as one left prophet and his family one is bound to go on a wrong path.